Having a marketing strategy is essential for any business, large or small. It forms the base plan that the company will use to attract clients and sell its product. A diversified company needs multiple marketing strategies, each for a different product aimed at a different market. Coming up with a marketing strategy isn't a simple task and drawing one up from scratch can be intimidating. 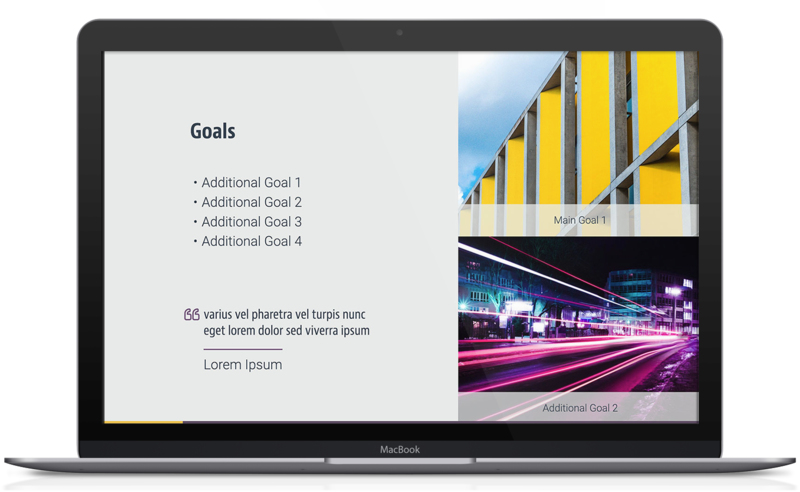 By using our recommended marketing strategy template, you can be sure that you've addressed all the vital elements of a marketing strategy, all in a slick business presentation format. 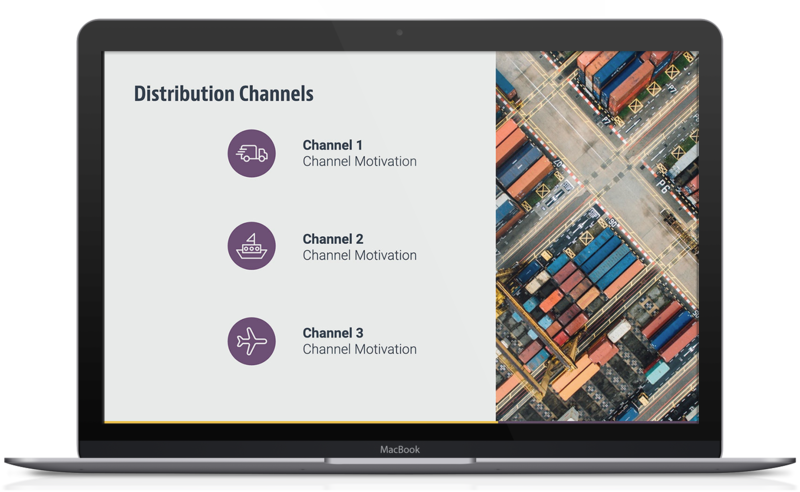 Our marketing strategy slide deck can be easily adapted to all sorts of sectors and markets and can be used for almost any type of organization. 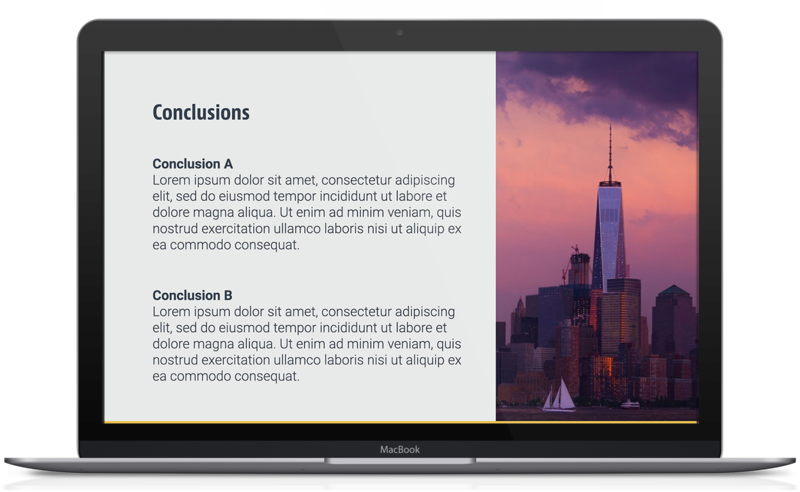 It's easy to add or remove slides, providing you with the perfect business presentation template when you finally bring your marketing strategy to light. 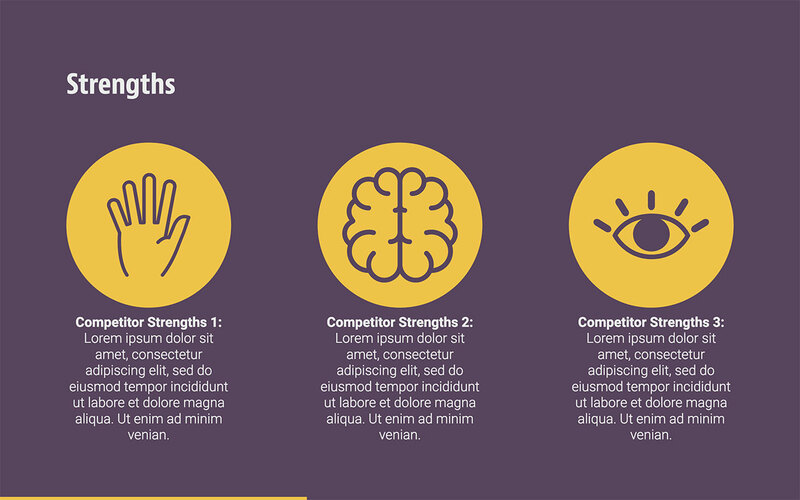 Much of marketing is focused on creating a strong brand for your particular product. 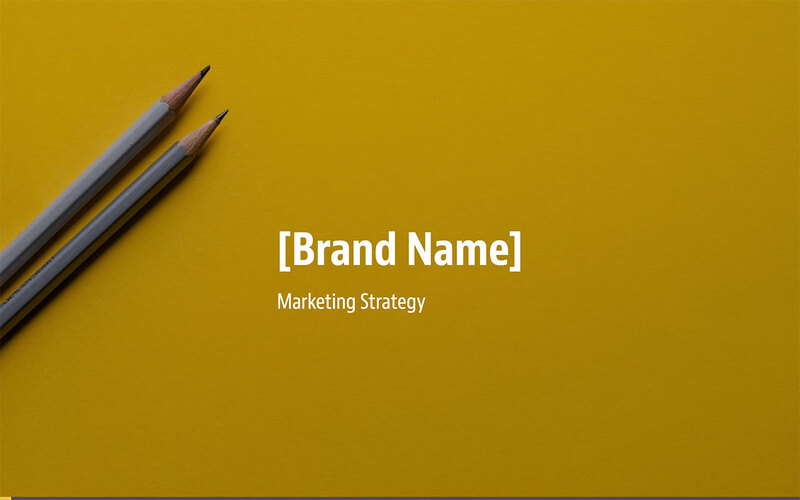 By placing this the brand name at the forefront of the marketing strategy template, we can create interest early in the presentation. 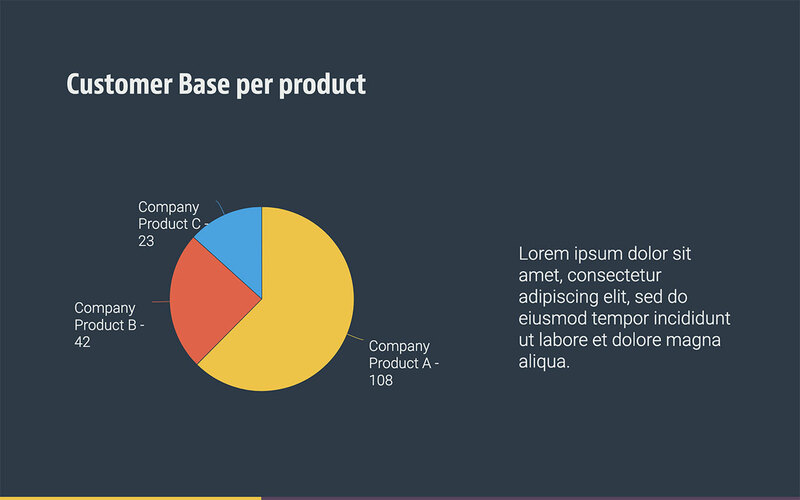 This slide can be used to provide a brief overview of the product and what the expected results from the campaign are. Keep this relatively short and succinct, as the slides will go into much more detail further on. 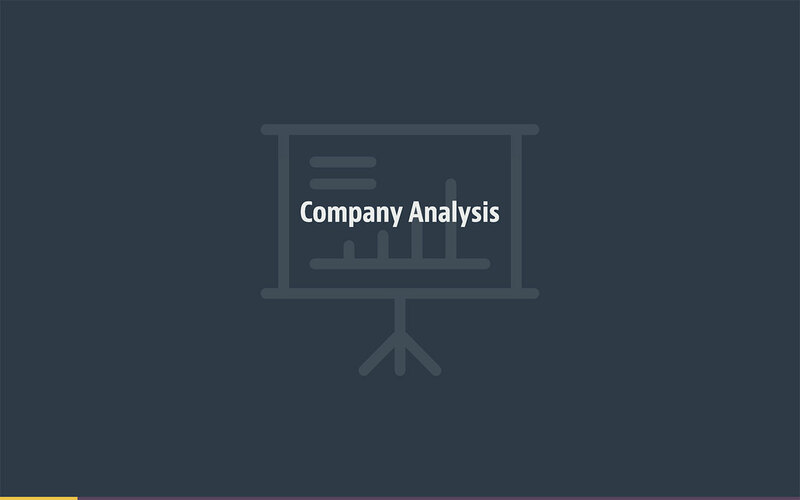 The next couple of slides take an in-depth look at the company, the product and the goals of the marketing strategy. The main goal of the marketing strategy needs to be at the forefront. This goal should be clearly stated, specific and measurable. 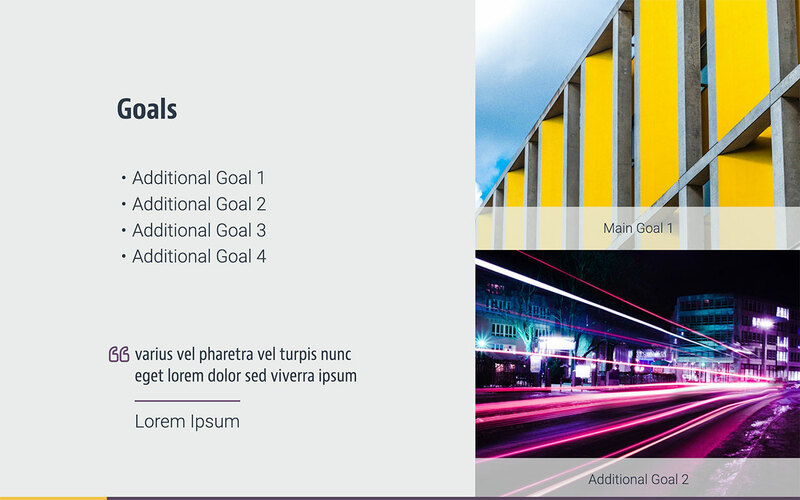 Additional goals may be goals that help achieve the main goal or supplementary goals that are 'nice-to-have' but aren't the main focus of the marketing strategy. Corporate culture and how the company is perceived play a very important role in the marketing of the product. 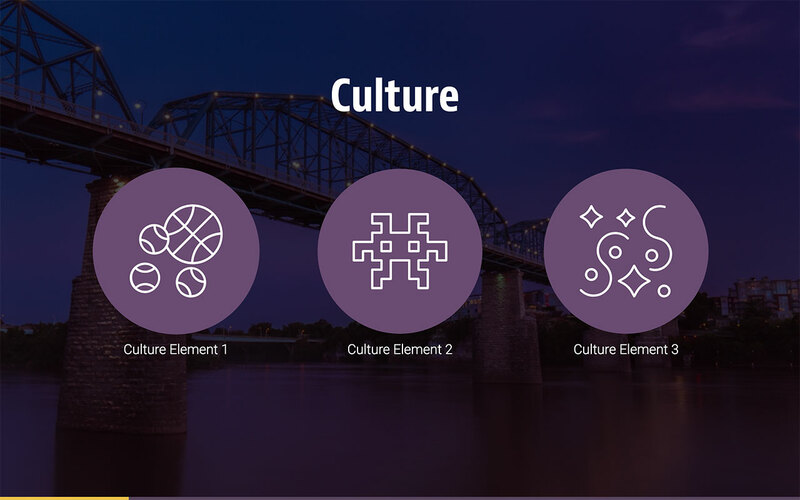 Use this slide to provide the background of the various elements of corporate and external culture that may influence the marketing of the product. 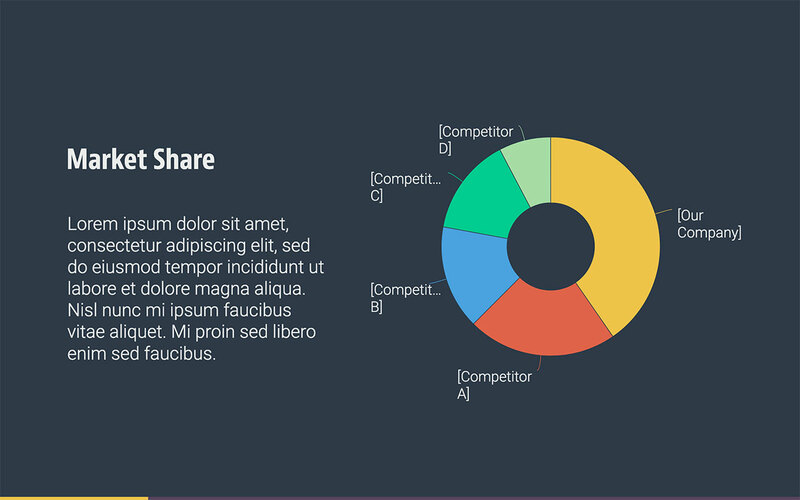 Market share is an important consideration, especially if one of the aims of the marketing strategy is to increase market share of an existing product. Knowing who the customer is has become a priority in today's marketing environment. Target marketing is effective in creating long-time customers who will retain brand loyalty and drive sales. A good marketing strategy will take into account regional differences to different strategies in different markets. 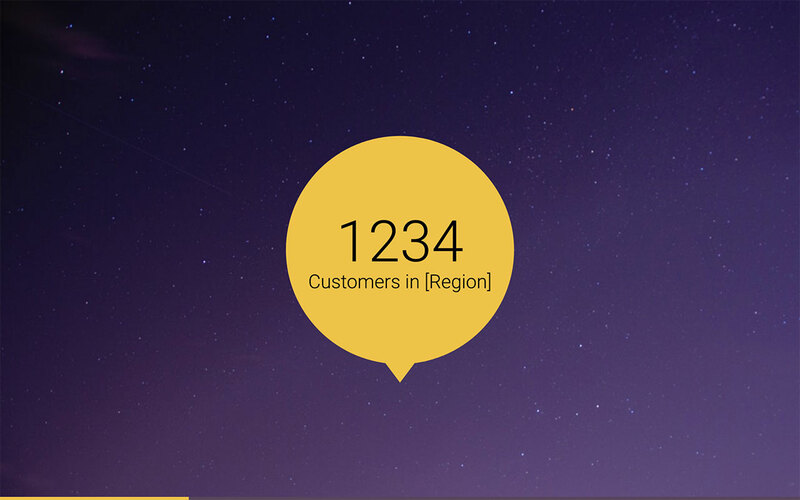 Knowing how many customers are in a region can help determine which regions are a priority. 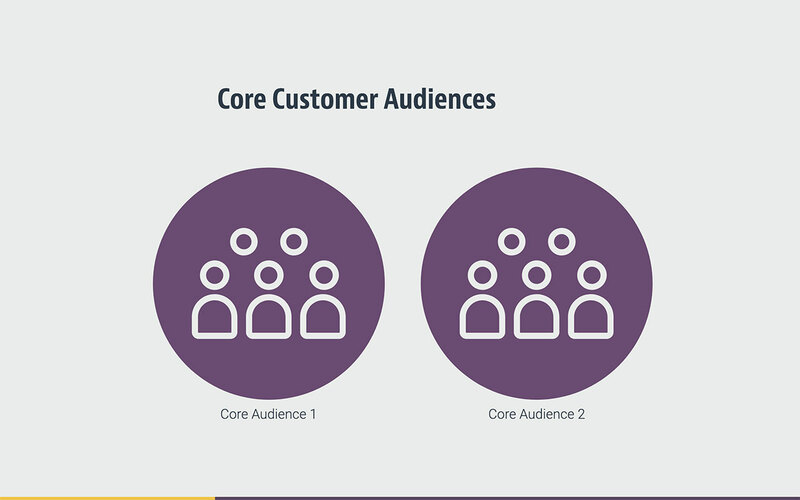 The core customer audience is the one that repeatedly buys the product and drives most of the revenue of the business. Identifying these audiences ensures that the marketing strategy is effectively targeting the population that will provide the largest ROI. These are the aspects of the product that make it stand out from the competition and increase its value to customers. 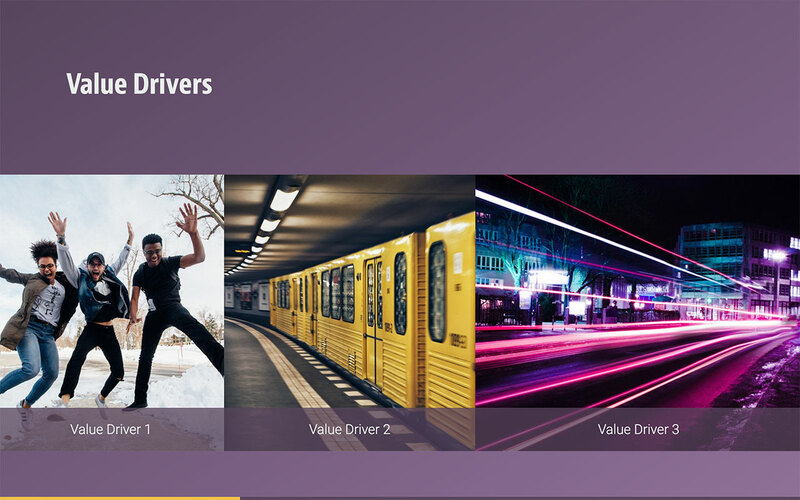 Value drivers constantly shift as market conditions change and may not even directly relate to the product. All of these need to be identified in order to take advantage of them during the marketing campaign. If a business has more than one product, it's worthwhile to see how these products compare in terms of sales. 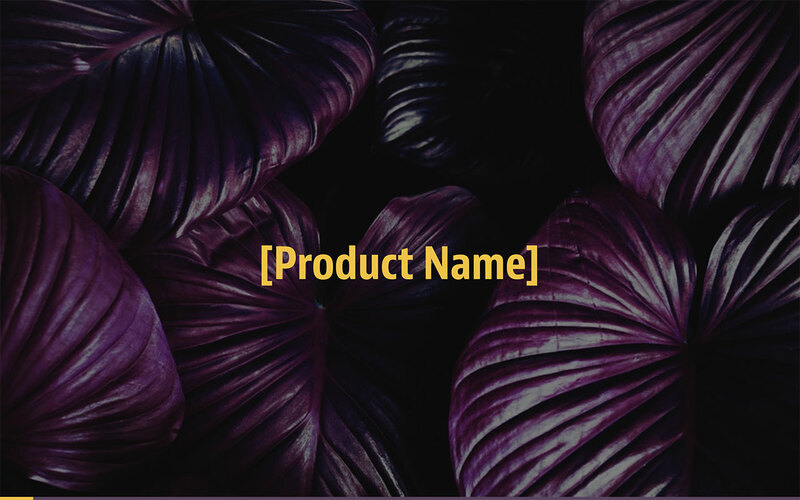 This can be useful if the core audience is the same for all products, but may also provide insight into how various customer bases react to various products. 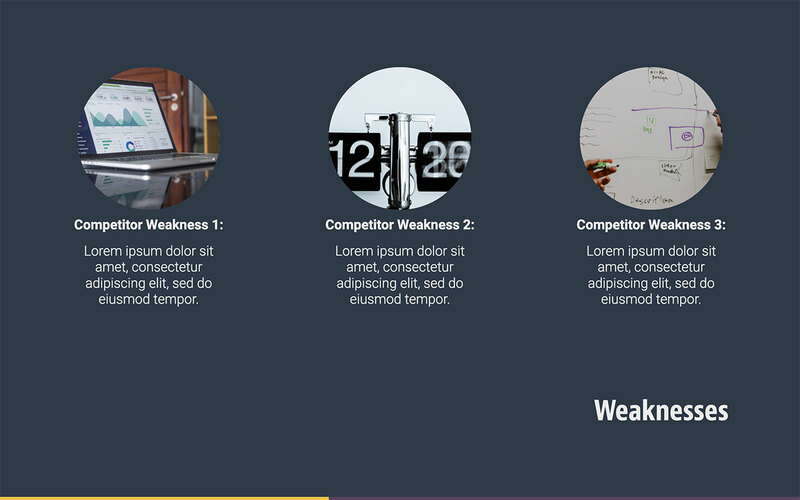 Use this slide to identify various competitors and what they're doing better than you in the same market space. 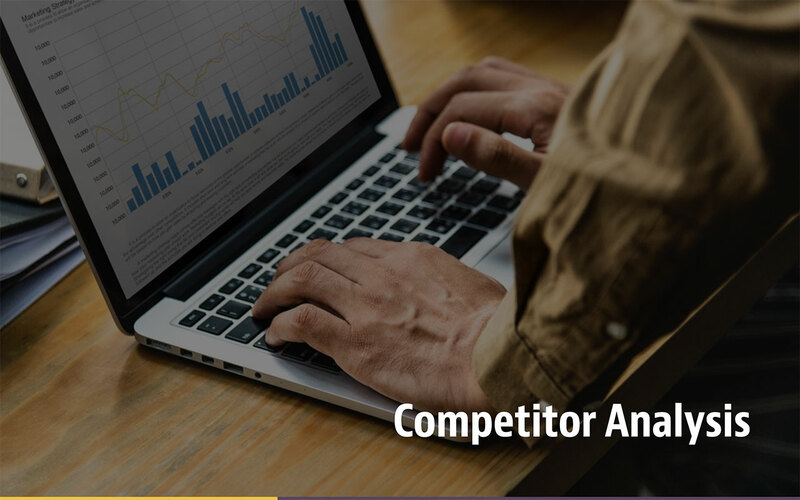 These are the aspects where your product is better than your competitors', and a good marketing strategy will leverage these as much as possible. 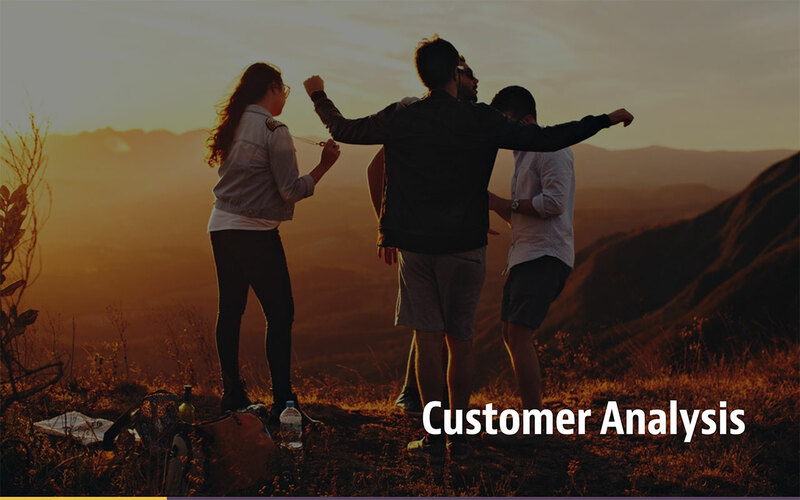 Market segmentation analysis provides a baseline of understanding how the market uses the product and what they are seeking in similar products, essential for a great strategy. To identify something that works, it's also worthwhile to analyze what hasn't worked. 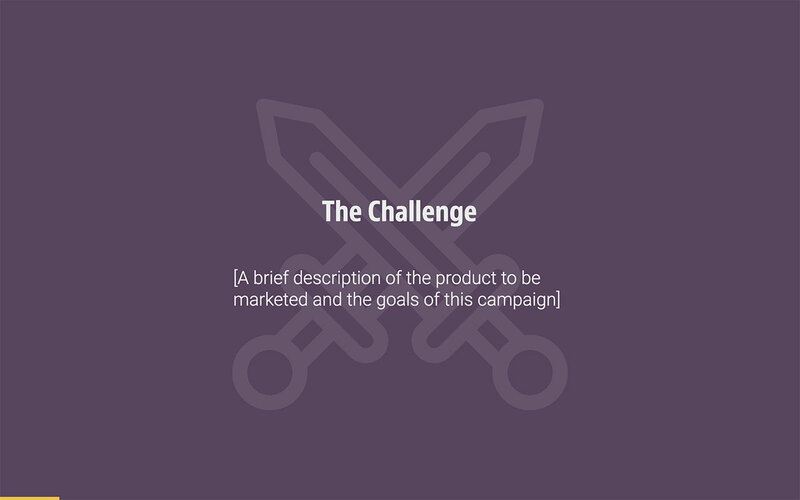 Use this space to discuss various other strategies that were considered and which aspects of these strategies made it into the eventual marketing plan. 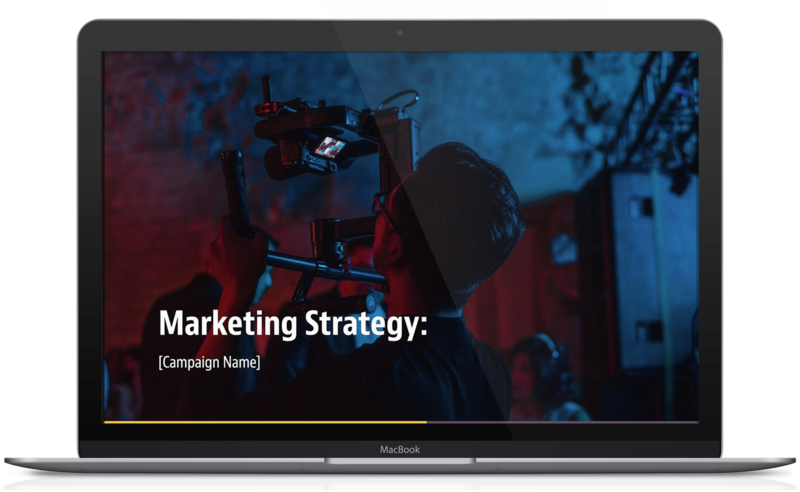 These slides can be further expanded on to detail the marketing strategy and marketing plan, or can simply be used as a teaser for a subsequent marketing plan presentation. 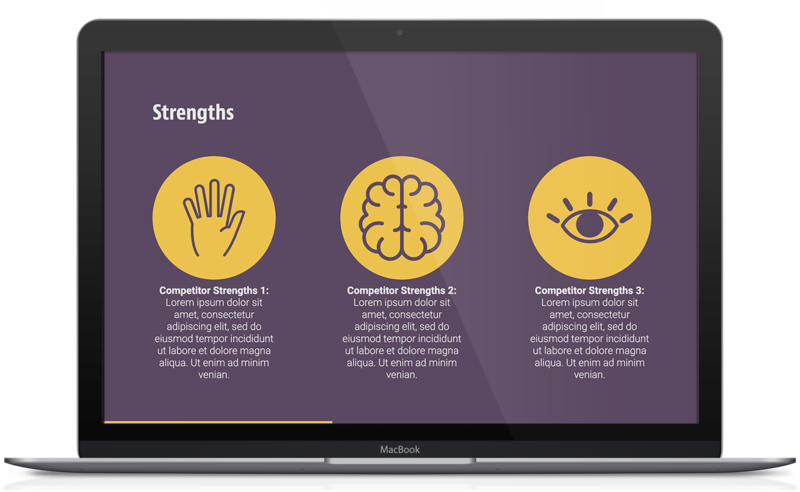 Once you've done all the hard work of coming up with a marketing strategy, use our slides to convey your message across effectively during any business presentation.